Since I started my blog one of the most popular questions I get is “how do you start a blog?” or “what tips would give to someone wanting to start a blog?” I love getting these questions (even though I am no expert haha) because blogging is something I am so passionate about and something I took HOURS, DAYS, AND MONTHS to learn how to do… and I’m still learning! I’ve been through A LOT of trial and error but if I can do it, anyone can. In this post, I am going to share the steps I took (or should have taken) to get my blog to where it is now! With these tips, you will be able to get your blog up and running in no time. One of the biggest mistakes I made when I first started blogging over a year ago was that I didn’t start with a goal. Well, I take that back. I won’t say it was a mistake because it’s been a huge learning curve for me. But if I would have started with a goal, I probably would be much further in my blogging journey. It’s best to determine your future goals for your blog early on so that you can make the best decisions from the jump. I had to go back and change a lot of things because once I figured out my goal, the decisions I made for my blog in the beginning no longer made sense or benefitted me at all. If you plan to blog just for fun then you probably don’t need to invest as much time, energy and money. Whereas if you’re blogging in hopes to make a career out of it, it’s best to make those initial investments & stay consistent. It will pay off in the long run. Before you start your blog, take some time to reflect on what your ultimate goal in blogging is. Your niche should be something you’re passionate about. If you want your blog to be successful you need to be able to consistently write new material and you won’t be able to do that unless you truly care about what you’re writing about. You have to be excited about your topic! Your niche should attract an audience. A blog isn’t successful without an audience. I mean you want people to read what you have to say, right? The only way to have an audience is to post material that they care to read! And people only read what they can relate to, what they find interesting, or something that can help them. Choose your niche wisely. There are so many different niches out there. Choose a niche that you’re comfortable with because this is how you will build your blog & how people will perceive you from here on out. I have read so many horror stories of bloggers who have tried to switch their niche after they’ve already made a name for themselves. It’s doable but it ain’t easy! There are TONS of blogging platforms to choose from. WordPress, Squarespace, and Wix just to name a few off the top of my head. I’ve heard pros and cons to each, but the one I use is WordPress and I would recommend it to anyone starting a blog. It’s the most popular among bloggers, it’s free, highly customizable (you can literally create any look you want) and there are so many free tools and resources to help you learn how to use it! If you choose to go with WordPress, you will have two options: WordPress.com OR WordPress.org. WordPress.com is hosted by WordPress. They have different plans you can choose from, but you will be very limited to what you can do with your blog. For example, you cannot use plugins, you cannot sell ads, you cannot have a custom theme, and WordPress is free to delete your site if they see a need. Basically, you are not in control of your site – WordPress is. WordPress.org is self-hosted. With this option, you are in full control of your website. All those things you can’t do with WordPress.com you can do with WordPress.org. You build your blog the way you want, AND you can make an income from it if you choose. If you go the WordPress.com route your host is WordPress, so you can skip this step but if you go with WordPress.org, you will need to find a host. Like platforms, there are so many options to choose from (Siteground, Bluehost, GoDaddy, etc…) You’ll want to do some research to find out which one suits your needs best. Technical Support. This is a biggie for me & the #1 reason why I chose Siteground. You want to make sure that whoever you choose has a great support department. Meaning that you can contact them 24/7, through different avenues (email, phone, live chat, etc). Safety & Security. I’ve read so many horror stories of people’s content getting deleted and never being able to get it back. You want to make sure your host has daily backups so that you aren’t at risk of losing all your hard work! Speed. No one likes a slow website. Email Accounts. Of course, you could use a Gmail or Yahoo email, butttt… it’s so much more professional to have a custom email address with your domain name. I get all these things & more with Siteground! CLICK HERE to get hosting through them! Step 5: Pick Your Domain Name & Lock It Down! Your domain name is your web address. 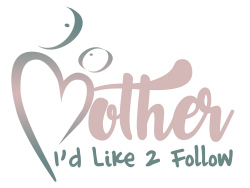 For example, mine is www.motheridlike2follow.com and I am seriously so obsessed with it (thanks, mom)! Your domain does not have to be super creative so don’t let it stress you out. I’ve seen successful bloggers use their name and hey if it works it works! As long as it’s easy to remember and spell you should be good to go. In most cases, you will purchase your domain through your host and they vary in price. Mobility. Websites look completely different on phones. You want to make sure you like the appearance on both a computer, tablet and phone. User-Friendly. Some themes are just plain confusing! Make sure yours is easy to understand and comes with instructions. I would also check YouTube and Google for videos and how-tos. Every good blog has a brand or at least should. Your brand is how you represent yourself. Branding involves consistency in colors, images, fonts, logos, etc … think of it as your blog’s personality. For instance, when people see this color and this color – they most likely will relate it back to me and my blog. Those are the colors in my logo, on my website, in my images, and on my social media. This step will be continuous and may take some time to get into full effect (I’m still working on this myself), but if you plan to take your blog seriously it absolutely has to be done. Welcome to the beautiful world of plugins. This step is mainly for WordPress users because I am unfamiliar with any other platform. The best way I can describe plugins are like apps that you download on your phone to make your phone work better or the way you want it to. It’s the same thing for your blog! Your theme might not have all the features you want but plugins can change all of that. Two of my favorite plugins are Jetpack (basically a thousand plugins molted into one) & Yoast SEO (helps make your blog search engine friendly). Before my blog went live (the second time, haha) I had a ton of posts already pre-written and ready to go. And I still have a TON! Pre-writing your posts helps when you have writer’s block (it happens more than you think) or if you get too busy throughout the week and just don’t have time to write something. Basically, it’s backup. Before I launched I had about 10-15 blog posts saved up! To this day, I still pre-write some of my material so that I always have something I can post! It’s also a good idea to create a brainstorming list of topics you want to talk about it. I have an excel spreadsheet on my computer and my phone so that if I ever think of a topic while I’m out and about I can jot it down on my phone. It’s super helpful. I’ve got about 300 topics I plan to eventually write about so I’m never going to run out of ideas. Last but definitely still 100% important. FIND SUPPORT. And this goes for everything in life. Find people who are in the same boat as you. It’s so nice to have someone to lean on and bounce ideas off from. Also, find vets or people who have been there done that. Think about some of your favorite bloggers, reach out to them! Those people will be able to tell you their dos & donts and help set you up for success. When I started I didn’t know anyone personally who was a blogger. So I joined a ton of Facebook groups and connected with people there who really helped me. Some of my favorite blogging Facebook support groups are Blogging Newbs, Blog & Business: Moms Who Do It All, and Boss Girl Bloggers! And as always, I am here if you have any questions or need help with anything! You reach me best through Instagram, Facebook or by email at aerica@motheridlike2follow.com. 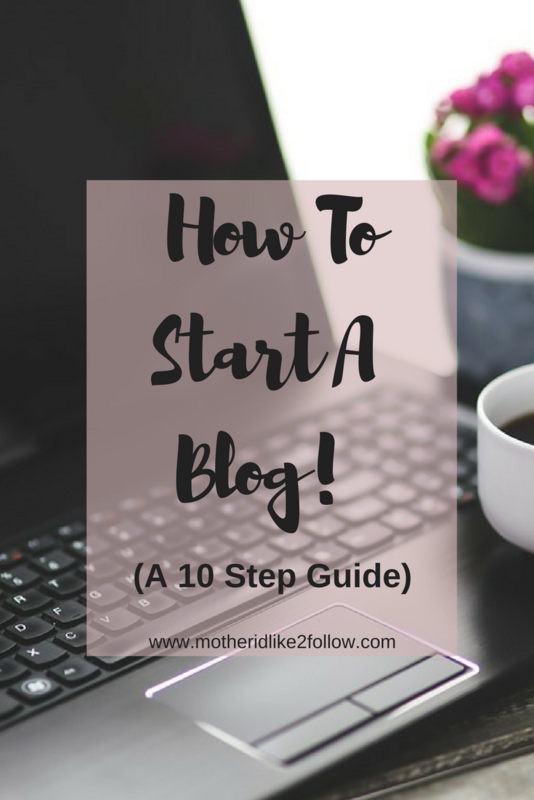 I really hope these steps helped you get a better idea of where you should begin your blogging journey! I love that so many people have a passion for writing and actually want to blog! In my opinion, the more bloggers the better! I’m still on the road to success with my blogging journey and learning new things literally every day. If you’d like to see more blogging tips, let me know! I have a ton of other info that I would love to share with you ladies to help you succeed! Also, don’t forget to subscribe to be the first to know when new posts are published! 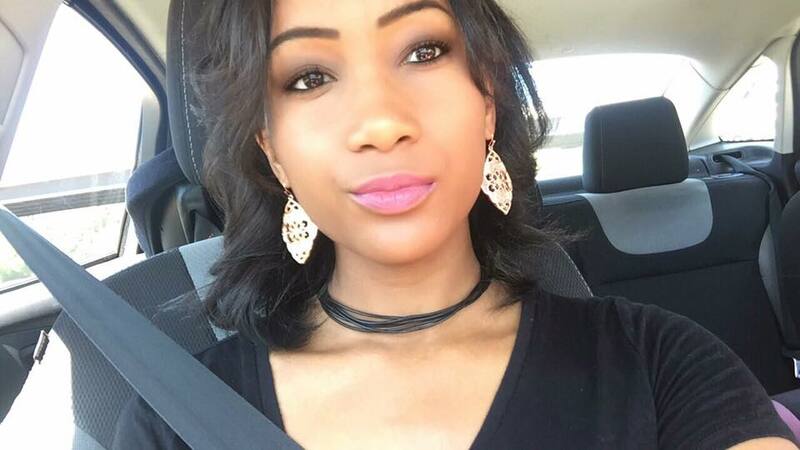 Hi, I'm Aerica and I am the face behind Mother I'd Like 2 Follow. Copyright © 2019 Aerica Floyd. All rights reserved.